On Sunday, February 4, 2019 at 2:21am, Shanardo Brian Goodhope passed away at Sentara Norfolk General Hospital. Shanardo was born September 12, 1979 in Norfolk, Virginia. He attended Norview High School. 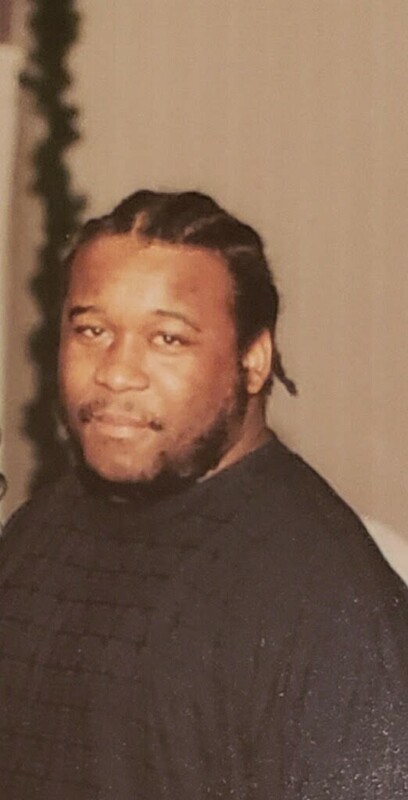 He worked as an armed security guard at several locations, with the most recent being Norfolk Naval Shipyard and Virginia Beach Psychiatric Center. Shanardo was an avid football and basketball fan and he thoroughly enjoyed being his sister’s, Galaisha Goodhope, personal basketball trainer. He was well-known in Hampton Roads, especially in the Norview area of Norfolk, for his larger than life personality. For many years he played with the Oakmont Corruptors Football League. Shanardo was a downright fool…. in the most affectionate way. Shanardo was simply a cool, down to earth dude that people of all walks of life enjoyed being around. He was also known for his generosity to others and his giving heart. He will always be greatly loved by countless family and friends and there will be a noticeable void with his absence. Shanardo is survived by his Children, Shamond Goodhope and Christine Goodhope; Mother, Patricia Goodhope; Father, Orlando Goodhope(Tonya); Paternal Grandmother, Gladys Goodhope; Sisters, Marquita Goodhope-Colbert (Jacquet), Galaisha Goodhope (GG) and DanyaelGoodhope; a Brother, Cory Goodhope; and a host of Aunts, Uncles, Nieces, Nephews and Cousins. He was preceded by Herman Goodhope-Paternal Grandfather, Charlie Jones-Maternal Grandfather and Nannie Mae Jones-Maternal Grandmother. I wanted to give me deepest condolences to the Goodhope family. LEFTY AND MOM,THE WEBSTER FAMILY WE PRAY THAT GOD GIVE YOUR FAMILIES STRENGTH DURING THIS VERY DIFFICULT TIME, OUR CONDLENCES TO THE FAMILY OF THE GOODHOPE. My condolences to the Goodhope family. Mr. Goodhope was a kind, respectful, funny spirit to work with – always willing to help where needed. His joyfulness will be greatly missed. I pray the Father’s compassion and peace upon you all. Orlando and Tricia, We are so sorry to hear about the passing of your beloved son. We pray that God will grant you (and the entire Goodhope family) the same comfort He bestows upon all who call on His name. May you find peace and joy (again) in the days to come. We offer our sincerest condolences to you and your family. Jesus did not promise that life would be easy…but GOD did promise to be with you every step of the way. The days ahead will be difficult, keep going with assistance from GOD each day will become a little lighter. May the peace of GOD’s grace and mercy be upon you and your family. My sincere condolences to the entire GOODHOPE familia♥️ Praying for you all continued comfort and strength during this time of grief. Much love and peace be upon you?? Sending my deepest condolences to the Goodhope family. Shanardo you will truly be missed. We are so sorry for your loss! We send our condolences and prayers for the entire Goodhope family! Always remember that he is in a better place, free from pain and sorrow… Happily in the arms for God! To the Goodhope family, please know that I extend my deepest sympathy, for the lost of Shanardo. He worked with us at Virginia Beach Psychiatric Center, and let me say, he was the best. I called him “G”. It is so hard to know that when I come to work, he will not be there. But I do know this, God needed another Angel, and “G” was the one he chose. He will always be in my heart. Shanardo, will truly be missed. I Pray God wrap his arms around Shanardo’s family, and he will get you through this difficult time.